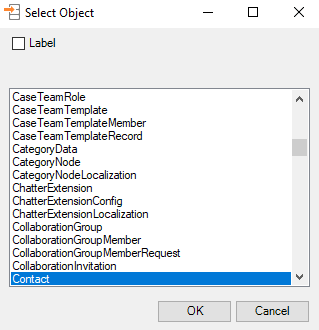 The main showstoppers when creating new records in Salesforce are mandatory fields of the object (table) you’re creating records in, and validation rules that can prevent you from creating your records. But these are usually pretty easy to figure out since Salesforce gives you clear error messages in case something goes wrong. Note, if you have a lot of triggers in your system, you may need to go hunting in other objects to find the validation rule that’s preventing your record creation. The other thing to watch out for is data values that don’t conform to existing picklist values in SFDC: these and other constraints are set in each of the fields’ definition page in SFDC’s setup area. To create new records in Salesforce you will only need a spreadsheet with your data. Note that rows that are completely blank or columns without field names in the header (first) row will cause problems…so, make sure you don’t have those! Log in to Salesforce by clicking the Log in button (you can also use Web Login). Click Insert in the XL-Connector ribbon. Click OK in the information dialog box. Click OK, then carefully read the warning that is shown before the mapping dialog, and click OK in it. Now click OK and your contacts will be loaded into Salesforce under the corresponding accounts. 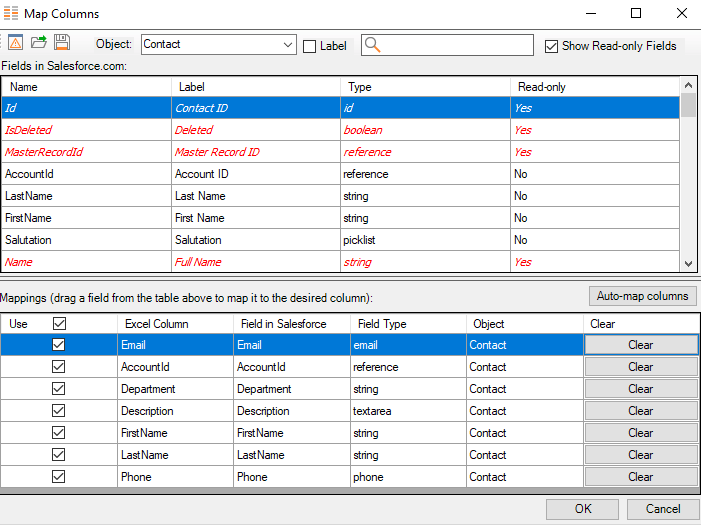 You’ll note that XL-Connector provides the ID numbers for the newly created records or error messages explaining why not, to the right of your original spreadsheet rows, one column over.